Racor 2020 SM, TM, PM Turbine Replacement Elements. Available in 2-micron, 10-micron, and 30-micron, respectively. The 2020 replacement element can be used in the following turbine assemblies; 1000-Series, 751000-Series, 771000-Series, and 791000-Series. Racor 2020 SM, TM, PM Turbine Replacement Elements. 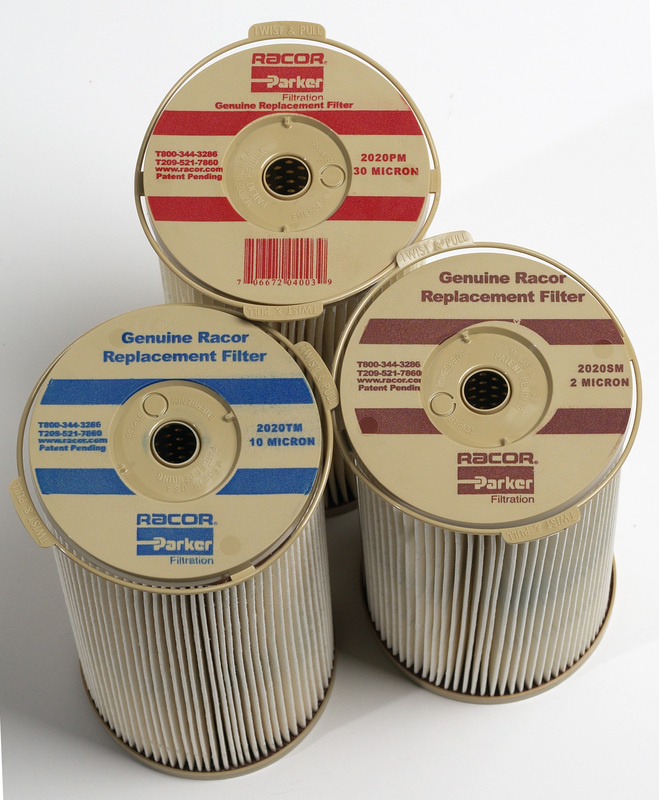 The Racor 2020 replacement element series is available in 2-micron, 10-micron, and 30-micron, respectively. Constructed of Aquabloc II material which filters harmful tiny particles of dirt and algae from fuel. Aquabloc II elements are rust-proof with polymer end caps. Included is a replacement O-Ring. Available in all micron sizes; 2-Micron, 10-Micron and 30-Micron. The 2020 replacement element can be used in the following turbine assemblies; 1000-Series, 751000-Series, 771000-Series, and 791000-Series.